It seems strange coming back to review this episode of The Walking Dead, knowing what we now know. 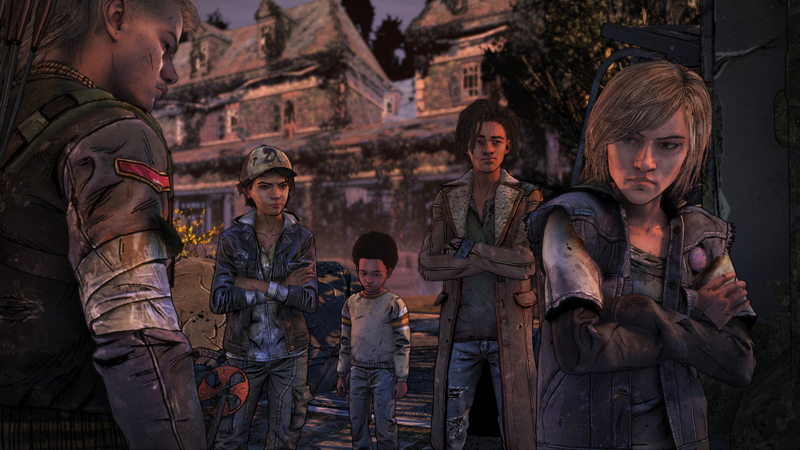 Telltale imploded, laid staff off without notice or paying them, and basically fell to pieces. People were heartbroken all over the world, workers had lost their jobs overnight and fans wondered whether Clementine’s adventure would ever be finished. On that merit, it almost seems inappropriate to even review the content as it clearly came at a challenging time for the studio and the workers involved. Yet, gamers did pay hard-earned money for a season that, deep down, top execs at TTG always knew would be troubled or may never be finished. And playing the content through, it sort of shows where the studios’ collective head was at. While it toys with some interesting narrative kicks, and re-introduces a character we never thought we’d see again, it feels underdeveloped, a little confused, and frankly, all a bit boring. Which is a shame because the Episode 1 cliffhanger is about as good as we’ve ever seen from Telltale in their 14 years on the job. They clearly came into this season fired up and inspired and really worked us up into a frenzy, giving us months to think about how we react to AJ’s actions. That’s what makes this all a bit sad. Because when it came down to it, the choice felt a bit flat, little more than a quick slap on the wrists or a hearty pat on the back. And while we get to see a long-forgotten character for the first time since Season 1, and meet a fascinating addition which opens up a lot of narrative possibilities, this episode falls foul of the problems of the first. Most of the time you’re walking around in circles, dialled into some random conversation or getting into arguments. The problem is, some of these conversations feel like the same ones we had in episode one as you’re in the same locations with the same people. It all feels a bit superfluous, and as such, a lack of emotional investment has started to creep in. 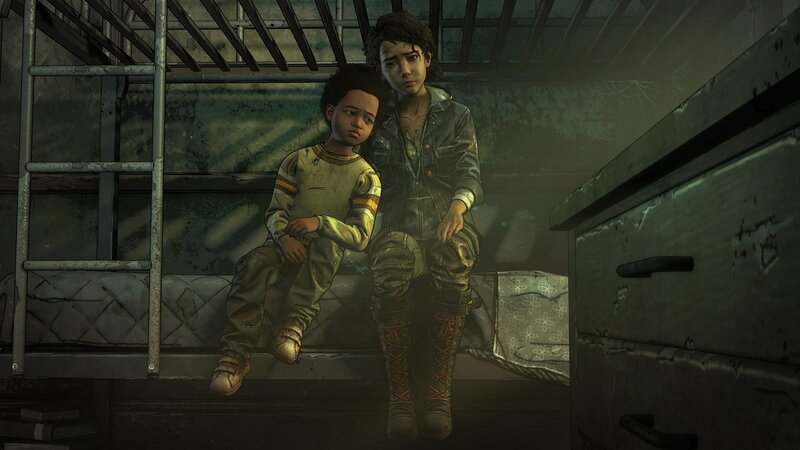 Fortunately, Clementine and AJ’s time together really drives the episode – what you say to him and how he responds. There’s some heart-warming moments here, but also opportunities to reprimand and educate him on right and wrong. Telltale have at least tried to make it seem like there are some consequences for his actions, even if it feels a bit forced and unnatural. The episode is also shorter than the last, which is probably for the best seeing as it’s hard not to play through Suffer the Children and feel like its filler content. The events in the episode could probably have been explained in thirty minutes or less, but TTG have stretched it out just over two hours. It shows. The combat is explored a little more this time around with Clem getting the chance to use a bow and arrow to take out walkers from a distance. But even this hand is overplayed and it doesn’t really help break up the episode. Instead, it actually exposes the limitations of what you can and can’t do as opposed to serving as an effective diversion from more conversation. Some of that vintage Telltale magic does creep in from time to time – a pained look, a great line, an impactful interruption – but never enough to make you forget that this is an ultimately drab episode. One could even argue it’s gone the route of the TV show which is often accused of doing very little to drive the narrative forward. I’m very glad Suffer the Children didn’t end up being Telltale’s final episode ever. A studio of such talented people who have produced such gripping and entertaining episodes over the years should have the chance to give the fans a proper goodbye. And the final season of such an important, illustrious series in this industry deserves better.